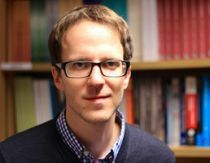 Jan Stuhler is an Assistant Professor at the Department of Economics at the Universidad Carlos III de Madrid, and is further affiliated with the Swedish Institute for Social Research in Stockholm and the Institute for the Study of Labor. Prior to joining UC3M he completed his PhD at University College London, in 2014. He attended the University of Bonn for his undergraduate studies, part of which he spent as visiting student at UC Berkeley. His main fields are Applied Economics and Labor Economics, with a special interest in Migration and Intergenerational Mobility. Jan joined CReAM in September 2009.